With the extreme heat we experienced over Summer we are reluctant to take further orders other than my-pick orders. However, if you see something you really like - Please ask as I will need to carefully check supplies before accepting your order. Many varieties will be available again next season assuming these tough plants recover from the extreme heat. We apologise for any inconvinence. 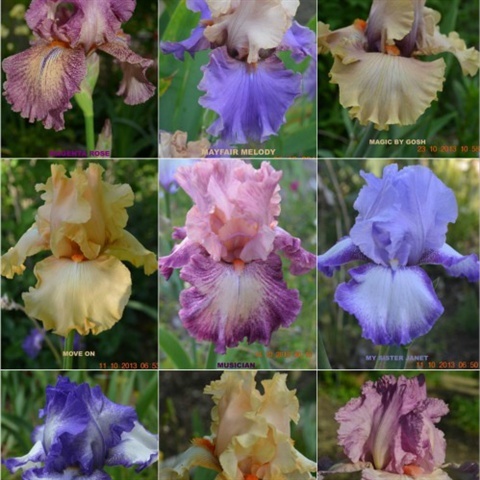 The Tall bearded Iris have been listed alphabetically to make it easier to find your favourites. 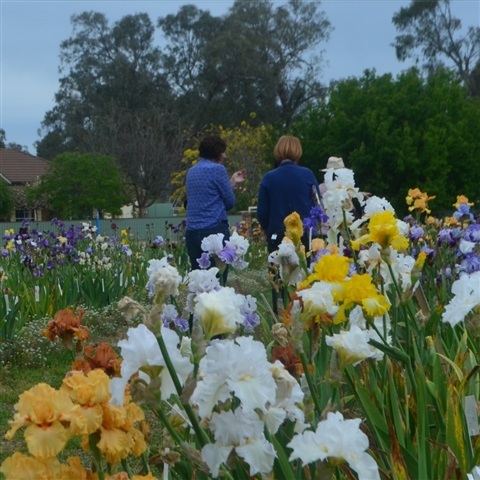 The first group of Tall Bearded iris were established in March 2014 and additional irises have been added each year. The newest varieties and the best sellers are only available in limited numbers. 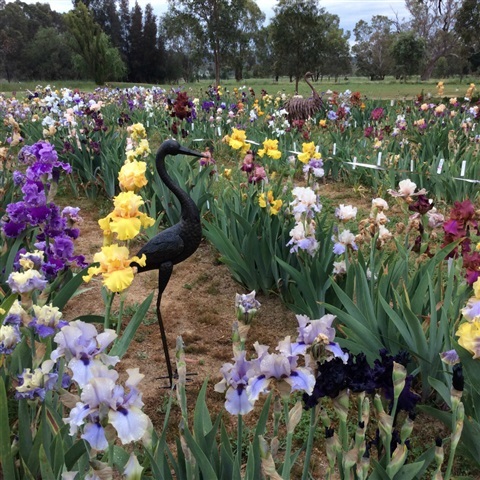 If you wish to order more than one of any variety please check with us by sending us an email at annette.tenbroeke@bigpond.com or calling Annette on 0432777142. Click on the tabs above to go to each alphabetical group. All photographs are copyright and additional photos will be added throughout the year as they are named and uploaded. All Iris prices include GST which will be shown on your invoice. (The term VAT equals GST). This is the price for bare rooted rhizomes. 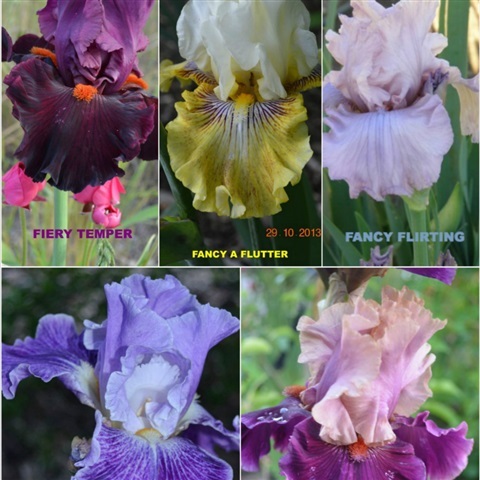 Add $2 per variety if you want your irises potted. 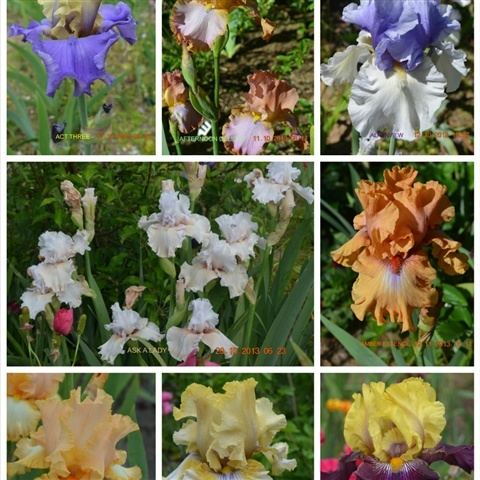 Special selection of 10 names Irises (our choice) - variety of colours - not necessarily those in the photographs as every order will be different. Value $90+. Please add Postage. You are welcome to tell us what you already have so I can avoid duplication. Only for orders picked up. Write in pencil on one side and permanent marker on the other as the pencil lasts longer.